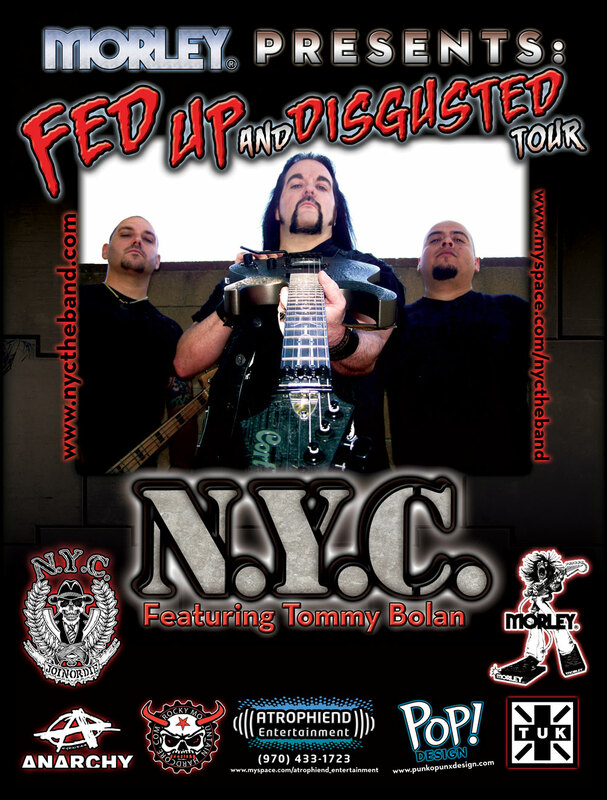 Guitar Wheel endorser guitarist Tommy Bolan and his band NYC are beginning their tour crossing the USA on September 3, 2010. Check www.nyctheband.com for tour dates! 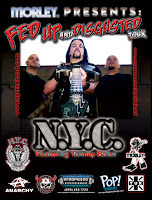 The "Fed up and Disgusted Tour" is taking Tommy and band throughout the south, northwest and mid-west United States. More dates and places TBA. NYC will be taking the Guitar Wheel video camera on the road with them to film concerts and behind the scenes footage for fans delivered to you exclusively by www.GuitarWheel.com. Check out the Guitar Wheel video site for videos and updates from NYC during their tour. You won't want to miss their hard hitting metal guitar and rhythm driven rock. Tommy's guitar playing is unlike any other. Forget being impressed with how fast he can shred, Tommy's songs are melodic, and the lyrics meaningful, you'll find yourself singing the tunes in your car or at work after hearing them one time. Listen to and order NYC's latest album Zyko from Amazon.com. Many companies are sponsoring the tour including Music Master Publishing publishers of The Guitar Wheel music theory teaching tool. Tommy will also perform and demo the Guitar Wheel at guitar clinics in music stores at select stops during the tour. Dates TBA.